The Divri desk can be seen as a happy medium between the Kalon desk and Athos desk. The unique design is reflective of the more rectangular, straight lines of the Kalon desk, though it brings out some characteristics from the Athos, in that there is a slight curve on the table top. This adds an elegant touch to an already aesthetically pleasing design. 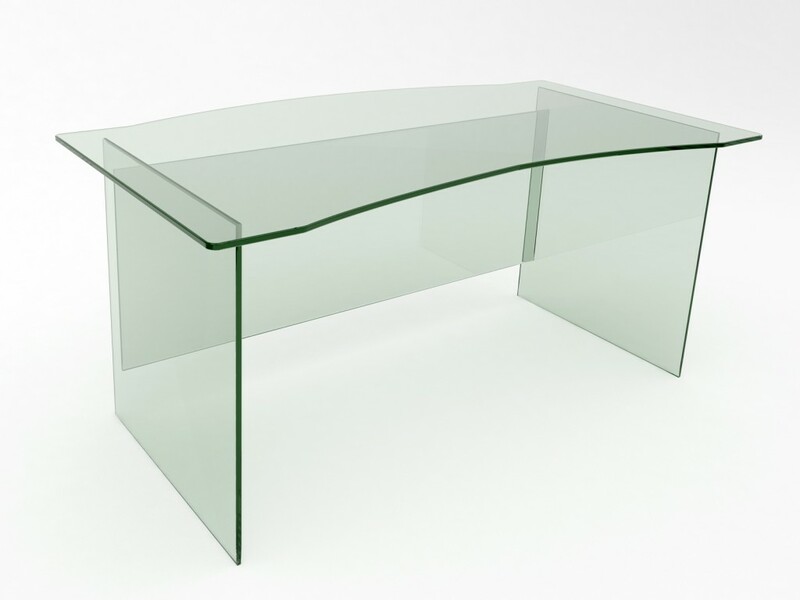 This is the perfect choice for those who are looking for a stunning glass desk with a bit of a twist, but aren’t willing to stray from the standard shape too much. The Divri desk measures in at 1600mm x 900mm x 720mm, and is made entirely of 15mm clear toughened glass. As with our other products, our bespoke design service allows you to order the desk in the sizes of your choice.